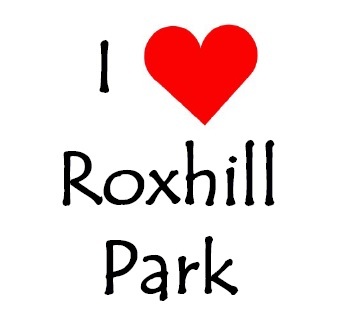 Who Are the Roxhill Park Events Champions? What is The Park Commons Program? This Weekend’s Community Trash Pick Up a Success – Join Us Next Month & Get a Free Hot Dog! Many thanks to volunteers that showed up to the Roxhill Park Spring Clean trash pick up on Saturday! Starting at the skatepark and looping around the bus stops and through the wetland trails, we collectively gathered about six bags of trash in all in about an hour. It immediately made a huge difference to the appearance of our public spaces that are enjoyed by all. Please join us at our NEXT community lead trash pick up, scheduled for June 9th starting at 9am and running around 11am. Show up at the parking lot on 29th Ave and ask about the community trash pick up. Then join us at 12noon for a free hot dog at our Community BBQ! Previous Post Roxhill Park needs YOU. Next Post When Roxhill Works Together, See What We CAN Do! We meet the 2nd & 4th Weds of the month. Check our 'Upcoming Events' list below to confirm date, time and meeting location. These meetings are open to everyone. Go to 'Contact Us' to get in the loop to join us.